18'' TableTop Stand Motor Driven Trimmer - ON SALE! - FREE Shipping! For larger projects that need to be done faster, our Stand Up Trimmer is ideal. 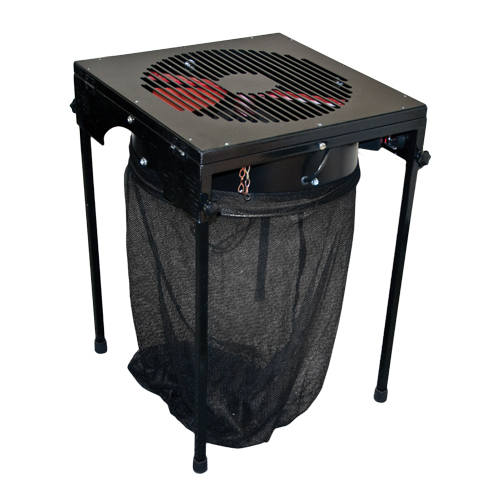 An extra sharp blade allows for clean cuts without damaging the plants and the built-in fan blows the small leaves into a catch bag for clean and easy transporting or disposing. This trimmer has 2 speeds, measures 18"L x 18"W x 25.5"H and includes (1) catch bag and a 7' power cord.